New Jersey Senator Cory Booker will be the featured speaker at the Iowa Democratic Party’s annual fall fundraising dinner. Booker was among the high-profile Democrats involved in last week’s confirmation hearings for President Trump’s nominee to the U.S. Supreme Court, prompting a GOP senator on the committee to suggest Booker had presidential aspirations. 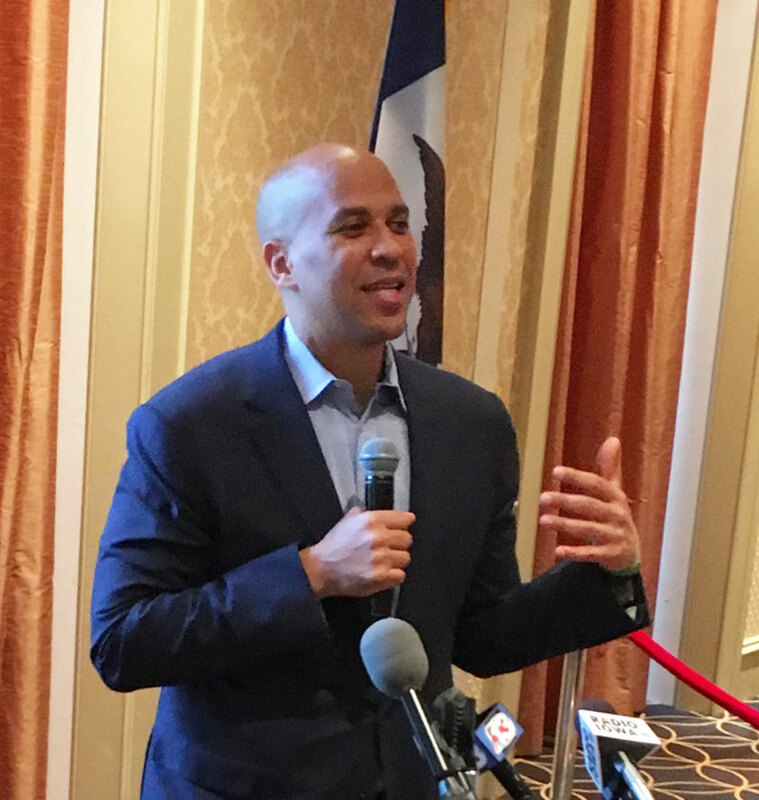 Booker’s speech at the “Fall Gala” on October 6 won’t be his first speech to a group of Iowa Democrats. 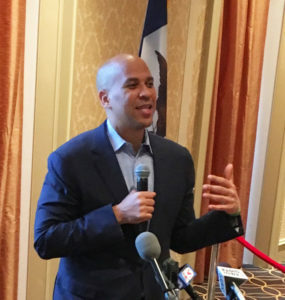 Booker spoke to Iowa delegates at the 2016 Democratic National Convention in Philadelphia — and took direct aim at Donald Trump’s “Make America Great Again” slogan. “What I love about this country and don’t like about a certain slogan is that we don’t need to go backwards when our ancestors have worked so hard to make sure that every generation is better than the one before,” Booker said, to applause. Four years before, in 2012, Booker spoke to the Iowa delegation at the Democratic National Convention in Charlotte, North Carolina, and emphasized his Iowa connection. Last year’s speaker at the Iowa Democratic Party’s annual fall fundraiser in Des Moines was Alec Baldwin. Al Gore and Joe Biden have also appeared at the dinner in non-presidential election years.